Despite the fact the new BlackBerry 7 browser is leaps and bounds above previous versions, not everyone has a BlackBerry 7 device to make use of. Some folks out there may even have a BlackBerry 7 device and still want to use a different browser. 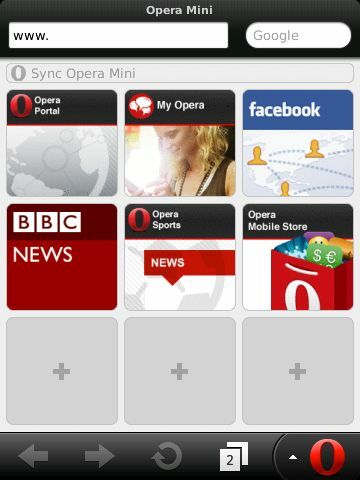 Opera is aware of this fact and now -- they've made Opera Mini 6.5 available for download. In this release you'll find better data optimization which can help reduce data usage, when compared to other browser Opera uses only 10% of the data they use. If you're watching out for your data consumption, that's quite a bit. Thanks, Dennis!